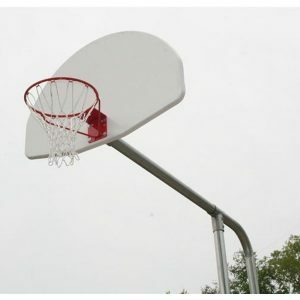 Terrabound Solutions offers high-quality basketball backstops for any basketball facilities, including Wall-Mounted Basketball Backstop, Basketball Nets, Basketball Goals, Wall Mounted Basketball Goal, Basketball Hoops, Basketball Backboard, Basketball Rims, Outdoor Basketball Backboard, Basketball Backboard Replacement, Basketball Accessories, and everything you need to set up an official basketball goal. 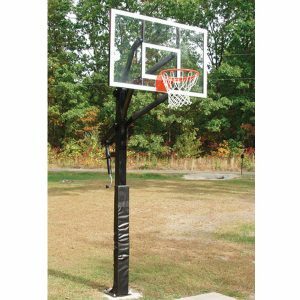 Includes: Backboard, Rim, Net, Adjustable bracket Overall Dimensions: 60"W x 48"D x 38"H Backboard Dimensions: 38"L x 60"W Weight: 340 lbs. Material: Steel, Fiberglass, Nylon Height Adjustment: 7' - 10' High. Has a 4' extension. Breakaway Goal included. 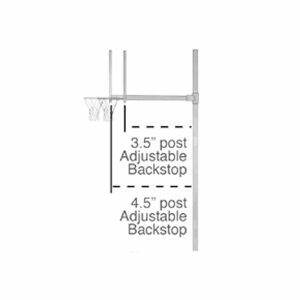 Includes: Goal, Steel Boom, Plates, Net, and Wall Braces Weight: 85lbs. - 135 lbs.